quite a few posts citing John Esposito but one especially focused on the meaning of sharia based on Who Speaks of Islam? 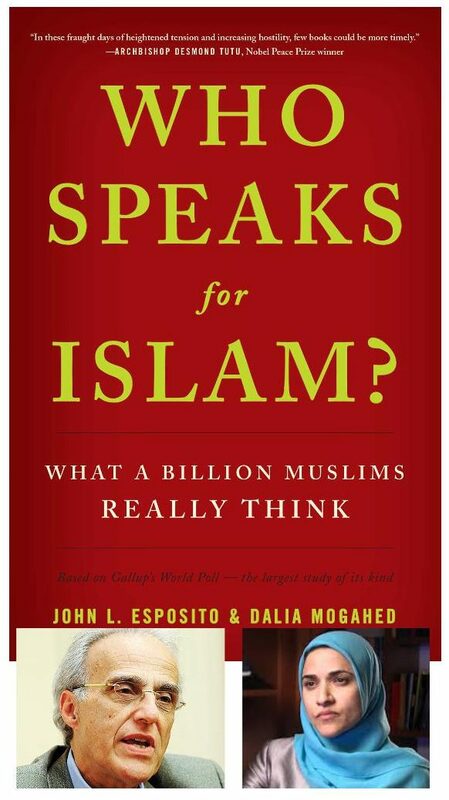 What a Billion Muslims Really Think by John Esposito and Dalia Mogahed. and glimpses of conflicts within Islamic societies as large scale movements push back against some of the worst conservatism according to Riaz Hasssan in Inside Muslim Minds. the anti-democratic states associated with Muslims are in the Arab world, the minority of Muslims. And it’s not hard to see why. Sharia has a range of meanings and applications. It is among less well informed Westerners that it has a singular meaning. Any law that violates human rights is to be condemned. But we need first to know who and what, exactly, we are talking about in each situation. Islam has bloody borders; a clash of civilizations. . . . both catch phrases are grounded in ignorance and selective amnesia. Oh yeh — most Muslims love the fundamental principles of democracy. Most Muslims live in democracies and most of those who don’t live in a democracy want to live in a democracy. I found the speakers here worth listening to. The video runs for 1 hour 47 minutes but after the first 50 minutes it is question time. 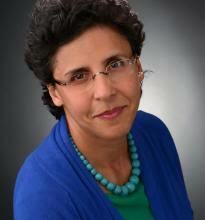 Elham Manea — From her University of Zurich staff homepage. I concluded a recent post with an acknowledgement of Maryam Namazie as a voice worth listening to in any discussion relating to Islamic and Islamist controversies today. Having just listened to an ABC’s Religion and Ethics Report interview, Muslim scholar says the burka isn’t Islamic, I have to add Elham Manea‘s name alongside Maryam’s. community and political speakers targeting violent Islamist movements in public debate miss the core problem; focus needs to be on the Islamist ideology that currently gets a free pass because it professes non-violence, yet it is in fact the extremist ideology that is spawning not only the terrorist violence but also an Islam that promotes segregation and a denial of full human rights. If Islamophobes say all Muslims are essentially alike in a negative sense (potentially violent, in denial of fundamental human rights, etc), so a certain liberal defence of Muslims is just as “dehumanizing” by likewise viewing them as all alike in a “positive” sense, defending their head coverings, sharia institutions, etc. the full burka (total covering, including veiled eyes) and even the “moderate” head covering hijab have become identified as “Islamic” since 1979 and the promotion of Wahhabism ultimately from Saudi Arabia’s petro-dollars. Can’t argue with that, can we. It “speaks for itself”. No interpretation needed, right? Except . . . .
People do indeed “interpret” the sixth commandment. They interpret it to mean that it does not forbid all killing, only the killing of persons; it does not apply to killing ants and flies. You can kill those. I think it is fair to guess that most believers in the Bible interpret the command to apply to killing that is not state-sanctioned. It is state-sanctioned, and therefore right, for soldiers to kill in war time. I imagine those who disagree with that interpretation and say it means we should not kill any other human under any circumstance are the minority. Pacifists, extremists. We might jail them in wartime or even shoot them. Again, very clear and unambiguous. There’s simply no way you can “interpret” your way out of the blunt meaning of that commandment. It means you have to kill anyone who identifies as a witch. Christians included it in their Bible so why don’t they obey that command? Paul wrote that witchcraft ranks alongside idolatry which also requires the death penalty. So why don’t Christians put witches on death row along with murderers? Somehow most Christians do find a way to interpret that command, not to change its meaning, but to relegate it to a status that is not relevant to them today. When the LORD your God brings you into the land which you are entering to take possession of it, and clears away many nations before you . . . and when the LORD your God gives them over to you, and you defeat them; then you must utterly destroy them . . . and show no mercy to them. . . . And you shall destroy all the peoples that the LORD your God will give over to you, your eye shall not pity them. . . .
God commanded the native inhabitants of Canaan should all be killed, too. A few extremist Jews do still believe in that command and when opportunities permit carry it out. You can’t fault them for their understanding of and obedience to the Bible. But no-one except the extremists themselves would suggest that they speak for “true Judaism” today. No doubt most adherents of the Jewish religion acknowledge the terror in that command, but at the same time the plain evidence before our eyes tells us that most of them do not interpret that command in a way that obligates them to kill all Palestinian Arabs today. A few do boast that they believe in keeping both the spirit and letter of that command and they do kill Palestinian Arabs when opportunities permit. But they are the newsworthy exception. We do not judge the entire religion of Judaism according to those few Israeli terrorists. But what is the “correct interpretation”? I like Maryam Namazie. I like her work. I like her ideas. I used to like George Galloway, especially for his blunt testimony to US senators ignorantly accusing him profiting from Iraqi oil sales, but in recent years he has alienated me with his support for Islamist ideology. He seems to side with political Islamist regimes and political movements because they are anti-imperialist or anti-American. That strikes me as comparable to supporting Hitler because of his declaration of war on the United States. Just to be clear: Islamism is not Islam. I have spoken above of Islamist ideology which is a political ideology that denies the legitimacy of Western democracy and Enlightenment values. I consider Islamism as much a threat as politically active Christian fundamentalists and White Supremacist groups. Islamists have dangerous political ideas that need to be combatted as much as any other fundamentalist or extremist Western religious or political ideology. Most Islamists are no more violent than are most people who oppose abortion. Only a minority of pro-lifers blow up abortion clinics and similarly only a minority of Islamists support terrorism. Most Muslims who are fleeing war-torn regions and oppressive Muslim regimes are fleeing the horrors perpetrated by Islamist ideology. Maryam Namazie — back to her — speaks of what she sees as a “tsunami of atheism” washing through Muslim regions today. I have heard elsewhere that atheism is on the rise in those places. Maryam Namazie herself was taken by her parents from Iran when they could see oppressive Islamists taking over the revolution against the brutal shah in 1979. Last night I read the transcript of a Skype discussion between Sam Harris and Maryam Namazie and it helped clarify some issues for me. The following is taken from the ideas Maryam expressed there. So what’s wrong with profiling Muslims? Everything. Most Muslims are Muslims for no reason other than that they were born to Muslim parents. That’s the only reason. Many persons in those countries may in fact be privately atheist or agnostic but by law they are officially identified as Muslims on identity cards or passports. Look at photographs of ordinary shoppers and students in Iran or Afghanistan thirty years ago and you will swear you are looking at modern Western cities. All of that freedom and secularism has been lost in Muslim regions because of the historically recent rise of Islamist regimes. That’s a horrific story that can be told another day. Profiling people because of their Muslim religion is misguided and dangerous. It is misguided because it ignores individuals and sees only collective identities. It brands people as potentially dangerous on the basis of their being born to Muslim parents and ignores the reality of why individuals are fleeing those countries and what many of them unable to flee are suffering there. It is dangerous (this is my addition) because it helps alienate collectives of people and makes their assimilation into Western society more difficult than it need be. Alienated groups are vulnerable to anti-social behaviour, crime, terrorism. An eloquent piece by Ruba Ali Al-Hassani published last year in The Huffington Post: Wahhabism: The Ideology of Hate. Ruba uses the myth of Islamic foundations (Muhammad did this and said that, etc) to justify some of her points on a “theological” basis, but that’s okay. I don’t mind too much people using myths for positive reasons. Anyway, a few excerpts. . . .
Wahhabism is an immense threat to any chance of peace in the Muslim and non-Muslim world. It is an ideology that openly advocates for violence against minorities and any majority-member Sunni who opposes it. It is an ideology that arose with violence since day one. It is an ideology that is misogynistic, sectarian, takfiri, and violent. Wahhabism is an ideology that tells women they’re intellectually challenged and morons. . . . This is post #5 on Inside Muslim Minds by Riaz Hassan. We are seeking an understanding of the world. 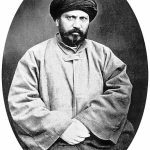 If you have nothing to learn about the Islamic world please don’t bother reading these posts since they will likely stir your hostility and tempt you into making unproductive comments. We have looked at a historical interpretation of how much of the Muslim world became desensitized to cruel punishments and oppression of women and others. But what does the empirical evidence tell us? Here Hassan turns to a study explained in the side-box. Each question was subject to a score between 1 and 5, with “very strong” being indicated by 1 or 2. Following are the 20 questions (out of a total of 44) that generated the highest mean scores. Overall the results tell us that Muslims feel strongly about “the sanctity and inviolability” of their sacred texts. There is a strong belief overall that all that is required for a utopian society is a more sincere commitment to truths in those texts. In other words, there is a large-scale rejection of modern understandings of the genetic and environmental influences upon human nature. Continuing from Muslim Nations and the Rise of Modern Barbarism . . . .
literalist, anti-rational and anti-interpretive approaches to reli­gious texts. Salafabism has anchored itself in the security of Islamic texts. These texts are also exploited by a select class of readers to affirm their reactionary power. Unlike apologists who sought to prove Islam’s compatibility with Western institutions, salafabists define Islam as the antithesis of the West. They argue that colonialism ingrained in Muslims a lack of self-pride and feelings of inferiority. This post is the third in my notes from Inside Muslim Minds by Riaz Hassan. The second response among Muslims to their experience of colonialism and its aftermath is salafism. 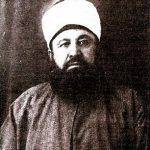 Whereas apologetics was a direct response to colonial rule, salafism emerged out of apologetics but in the post-colonial era. When independent nations experienced the failure of their ruling elites to bring about the reforms and better life — “jobs, economic development, welfare for citizens and equality of citizenship” — that they had promised. Building on apologetic thought the salafists concluded that this failure was the consequence of using secular laws instead of the laws of God. Some of the founding ideologues of the salafist movement were Mohammad Abduh, al-Afghani, Muhammad Rashid Rida and (one that we have discussed on Vridar before) Sayyid Abul A’la Maududi. 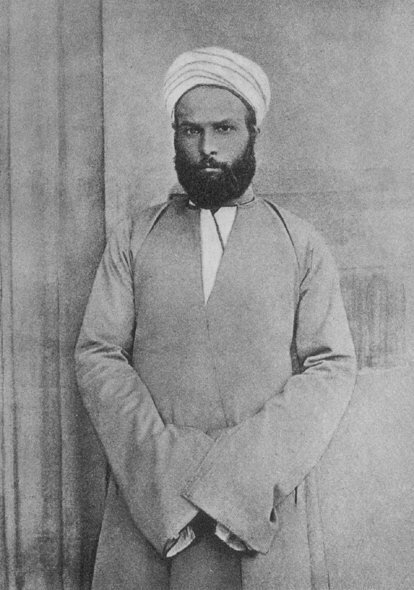 Like the apologists these early salafists believed that the Islamic religion was entirely compatible with modernism. Recall that the apologists argued that modern western ideals like democracy, constitutional governments, socialism etc were all to be found in early Islam. 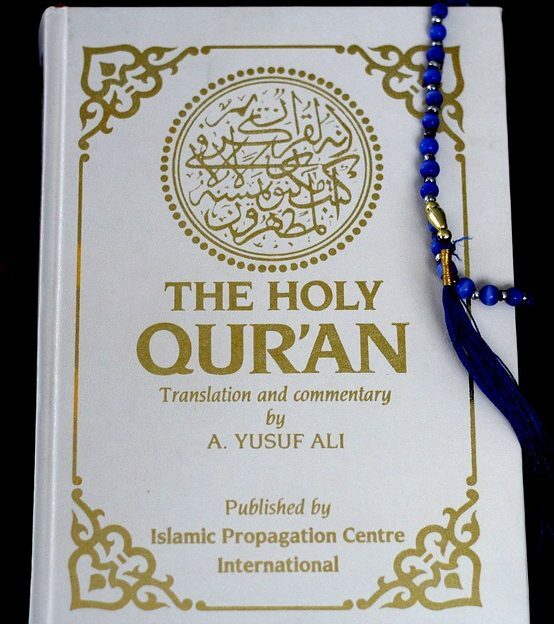 What was required of modern Muslims was to interpret their sacred texts in the context and according to the needs of adapting to the modern world. Moreover, there was no single interpretation that could demand a monopoly on “the correct interpretation”. Such violent, repulsive and publicly visible acts could be interpreted as the by-product of social malignancies that have festered for a long time. Dr Khaled Abou El Fadl—an eminent Islamic jurist . . . . —provides a succinct description of how historical and social conditions interact to form a particular mentality . . . . The shocking injustices and brutality in the Muslim world that we hear about far too often are not isolated acts of a few troubled psychopaths. They are systemic and carried out with considerable (though fortunately not always unanimous) popular support. Each act of barbarism becomes a historical precedent for further similar acts and for increasingly easier public acceptance. (As for indoctrination, we are also looking at how that works first hand.) Each act becomes another topic of community discussion; explanations and interpretations that emerge become part of the social group’s identity and moral foundations. Theological perspectives of these same events are meanwhile being transmitted through generations of families, communities and institutions. The point is that community interpretations and practices adapt, evolve, change emphases and focus over time and that’s true of most societies throughout history. So the question that arises is, What historical changes have been emerging in “recent” history in the Muslim world? And when we say “recent” we are reaching back to the eighteenth century when European powers made their first takeovers of large numbers of Muslim populations (e.g. India, Egypt). As we saw in Jason Burke’s historical narrative Saudi Arabia used its windfall from rising oil prices in the 1970s to propagate its vicious brand of wahhabist Islam. 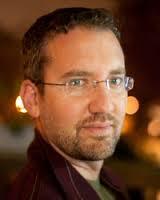 In addition to wahhibism Fadl points his finger at two other strands of Islamic thought, the first being apologetics. Let’s take them in order. Among the conquered and humiliated Muslims were those who responded in a similar way to their Western overlords. 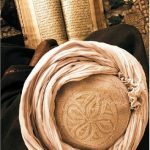 Anything of value that the Europeans had produced was thought by Muslim apologists to have owed its origins to Islamic science or philosophy or political ideas. 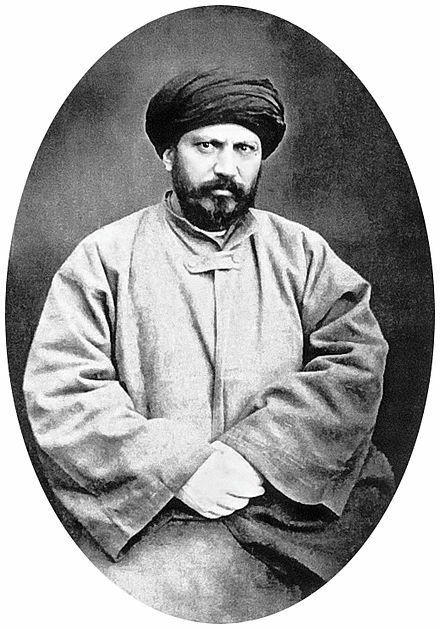 So it was that Western orientalists (those who looked down upon oriental culture, ways and beliefs with a certain contempt) found themselves mirrored by Muslim apologists who in turn looked down upon Westerners with the same disdain. That’s one time-honoured way of a defeated people holding on to their self-worth and dignity. But that kind of response has a serious down-side: it ossifies one’s religion. Religion is no longer an evolving and adapting system that is constantly being critically studied and subject to adaptation in the face of new circumstances. An idealized construct is created, and this is sanctified and set in stone as a foundational golden age. Anything that falls short of that ideal is the fault of the enemy. Trying to cope with the humiliation that came with European conquest and hegemony some Muslims found refuge in a conviction that their ancient texts, ways, beliefs had from the beginning of time been superior and well in advance of anything associated with their new rulers. So for Muslim apologists the superiority of Islam became a mirror reaction to their European masters’ presumptions of superiority. As cultural arrogance made it impossible for Europeans to bend and adapt so the same arrogance of apologists made it impossible for them to analyse and adapt their own traditions and belief systems. Apologists treated the Islamic tradition as if it had fossilized at the time of the Prophet and the Rightly Guided Companions (the four Caliphs who succeeded Muhammad). And if there is nothing to reflect upon except to bask in the superiority of one’s beliefs then anyone can become an authority. The true Muslim intellectuals are marginalized into irrelevancy. The door is open to anyone becoming “the voice” of “truth”. The solutions become easy. If the Muslim peoples are under the boot of the aliens, unable to match the Westerners in political and military might and so liberate themselves, it is because Muslims are not faithful and devout enough. The way to liberation and self-respect, apologists believed, was to become more fervently dedicated to the myth of the old ways. And those old ways proved to have even preceded the best the West had to offer such as democracies and human rights. 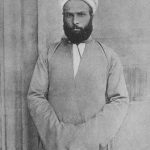 Islamic apologists were ultimately motivated by nationalistic aspirations for political, social and cultural independence from the West. That was one response. The other two I’ll cover in another post. We also need to examine the empirical evidence of how these different types of responses took hold in varying degrees in different regions of Muslim peoples and fused into an ugly ideology. We will see that those differences can be correlated with respective historical experiences with the West. My first post covering a little of what I learned about the Muslim religion (Sharia) and its global applications did not get off to a good start. 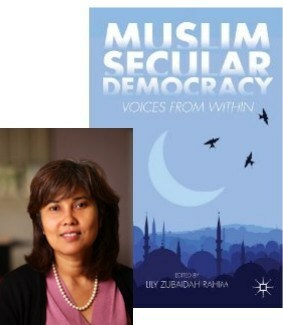 I have already posted three times on Rahim’s Muslim Secular Democracy: Voices from Within so this post is based on a key theme in the third of the works I found most useful in my attempt to understand the Muslim world, Riaz Hassan’s Inside Muslim Minds. In such a society as Pakistan, with its deeply embedded patriarchal beliefs and attitudes, the hudood laws in general and the law pertain­ing to zina (fornication and adultery) in particular have been widely and recklessly abused. In particular, they have become an instrument of oppression against women. . . . The hudood laws and their successors have severely eroded and undermined the constitutional guarantees of life and liberty for all citi­zens. Instead of protecting ‘honour, life and the fundamental rights of a citizen’, these laws have become instruments of oppression. And the Pakistan slide into this kind of barbarism is symptomatic of what has been happening in other Muslim countries, too. Pakistan is not alone. Having spent some time getting to know a few Muslim countries (Indonesia, Malaysia, Turkey) I can certainly vouch for that side of the Muslims. Natural disasters, refugees, orphans, the poor — generosity among the ordinary Muslims wanting to alleviate suffering of those affected is often truly inspiring. Muslims I have known in Indonesia, even around the region of Solo that was until recently infamous as a hideout region for Islamic terrorists, really do have human souls, too. What has led to this state of affairs? 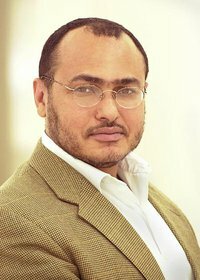 Hassan’s explanation draws most heavily upon the writings of Dr Khaled Abou El Fadl. I’ll try to do the account of Fadl and Hassan justice in the next post. Most Muslims Support Sharia: Should We Panic? Most objections to my posts on terrorism seem to fall back on arguing how frightening or horrific the religion of Islam is. Because I don’t “blame Islam” for terrorism (I distinguish between Islam and the political ideology of Islamism that originated with Maududi and Qutb) some readers assume I am trying to “whitewash Islam”. Not so. I have frequently tried to point out that I have no time for any religion personally and acknowledge that much of the Islamic world in particular has a long way to go in terms of meeting modern standards enshrined in the Universal Declaration of Human Rights. At the same time I reject absolutely the view that the Islamic religion is some sort of monolithic demon that has the power to possess and dehumanize anyone who succumbs to the teachings of the Quran. 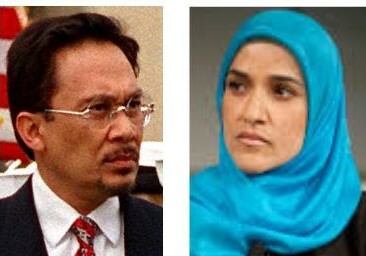 Esposito, J. L. & Mogahed, D. (2007). Who speaks for Islam? : what a billion Muslims really think. New York, NY: Gallup Press. Harris, S. (2015). Islam and the future of tolerance: a dialogue. Cambridge, Massachusetts. Hassan, R. (2008). Inside Muslim minds. Carlton, Vic: Melbourne University Press. Negus, G. (2004). 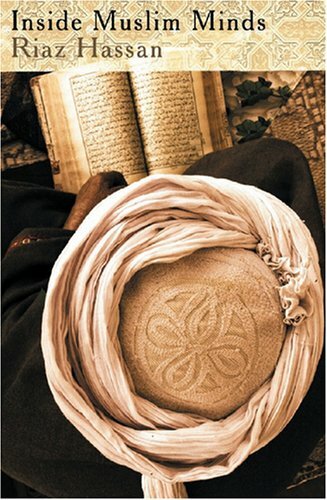 The world from Islam: a journey of discovery through the Muslim heartland. Pymble, N.S.W. : HarperCollins. 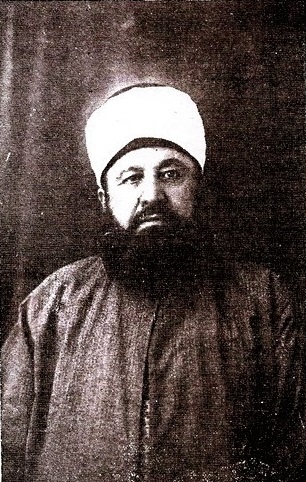 Rahim, L. Z. (2013). 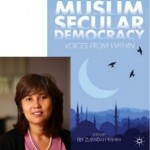 Muslim secular democracy: voices from within. New York, NY: Palgrave Macmillan. Saikal, A. (2003). Islam and the West: conflict or cooperation? New York, NY: Palgrave Macmillan. I want to post some of what I learned from the above. 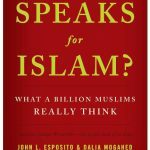 In this post I will limit myself to just one section from Esposito and Mogahed’s Who Speaks for Islam? This volume is the result of a Gallup research study between 2001 and 2007 interviewing tens of thousands of Muslims in hour-long, face-to-face interviews in more than 35 nations. The sample included young and old, educated and illiterate, female and male, urban and rural. The sample represented more than 90% of the world’s Muslims and at time of publication was “the largest, most comprehensive study of contemporary Muslims ever done”. Results are statistically valid within a +/- 3-point margin of error. Should Majority Support for Sharia Make the West Panic? We would be surprised if most Christians said they did not support the Sermon on the Mount and if most Jews claimed not to support the Ten Commandments. But Sharia? Then came the invasion of Iraq and the setting up of a committee to draft a new constitution. A Christian Iraqi member of that committee, Yonadam Kanna, warned that “making Sharia one of the main sources of law” would lead have dire consequences, especially for women. ■ the same legal rights as men (85% in Iran; 90% range in Indonesia, Bangladesh, Turkey, and Lebanon; 77% in Pakistan; and 61% in Saudi Arabia). Surprisingly, Egypt (57%) and Jordan (57%), which are generally seen as more liberal, lag behind Iran, Indonesia, and other countries. ■ rights to vote: 80% in Indonesia, 89% in Iran, 67% in Pakistan, 90% in Bangladesh, 93% in Turkey, 56% in Saudi Arabia, and 76% in Jordan say women should be able to vote without any influence or interference from family members. ■ the right to hold any job for which they are qualified outside the home. Malaysia, Mauritania, and Lebanon have the highest percentage (90%); Egypt (85%), Turkey (86%), and Morocco (82%) score in the 80% range, followed by Iran (79%), Bangladesh (75%), Saudi Arabia (69%), Pakistan (62%), and Jordan (61%). ■ the right to hold leadership positions at cabinet and national council levels. While majorities in the countries surveyed support this statement, respondents in Saudi Arabia (40%) and Egypt (50%) are the exceptions. What Do Muslims Mean when they say they Support Sharia? Fact one: there is no evidence to support the story that the seventh century Arab conquests were inspired by Muhammad and with the goal of spreading the Muslim religion. None. Zilch. Forget that porky you have carried around for years now that says the Muslim religion was born and weaned in bloody jihad. There is no evidence to support this claim. So were the Arab conquests inspired by Muhammad and their zeal to spread the Muslim faith? For that we have no evidence. I don’t mean there is no evidence for the seventh century Arab conquests. They are not doubted. But what is open to question is whether these Arabs were adherents to Islam at that time. 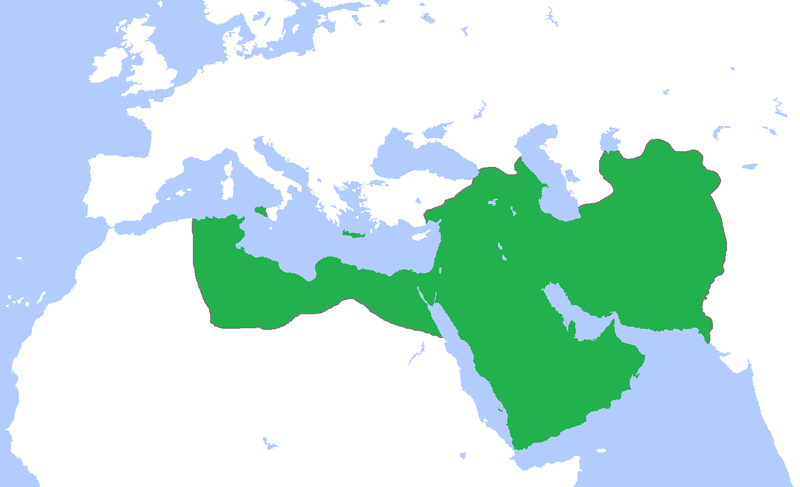 Or did the Muslim religion appear subsequent to those conquests? When the Romans or Persians conquered territories they left indisputable evidence of who they were and what they believed. When the Arabs conquered both Christian and Jewish peoples they left no evidence that at that time they belonged to any particular religion. Apparently some Christians feared they were in league with the Jews because they allowed Jews to return to some of their places of prayer. Particularly curious is that there is no mention of Muhammad in any of their coins or other records pertaining to this period. Another curious datum from the documentary (not in the interview) is that the earliest known mosque in the Palestine region is not facing Mecca, but east, for prayer. The first coin with the name Muhammad on it does not appear until around fifty years after the conquests of Palestine. Check the original and related posts for the details. Or if you’d rather simply disbelieve any of this and prefer to repeat stories of the bloody and barbaric intrinsic nature of the very essence of the Islamic religion itself then please go away and do something more useful with your time than fuming in anger over what you are reading here. Okay, now what about this business of “the ideology of the Caliphate” as if the Caliphate is some apocalyptic foreshadowing of Islamic State with all its beheadings and other obscenities and horrors towards women, men, young, old, everyone….? But take a look at the Islamic State’s propaganda, and you will see that from its founding the group has sought to restore the glory days of the Abbasid caliphate based in Baghdad, especially the era of Harun alRashid of 1,001 Nights fame. “Know that the Baghdad of alRashid is the home of the caliphate that our ancestors built,” proclaimed an Islamic State spokesman in 2007. “It will not appear by our hands but by our carcasses and skulls. We will once again plant the flag of monotheism, the flag of the Islamic State, in it.” That same year, the Islamic State’s first ruler, the aptly-named Abu Umar al-Baghdadi announced IS’s claim to the city: “Today, we are in the very home of the caliphate, the Baghdad of alRashid.” Even after the Islamic State established its primary base of operations in Syria’s Raqqa province, once home to Harun alRashid for several years, and captured Mosul in Iraq, its spokesman still referred to “the Baghdad of the Caliphate” and “the Baghdad of alRashid.” The Islamic State’s plan to revive the Abbasid caliphate in Baghdad has two problems. 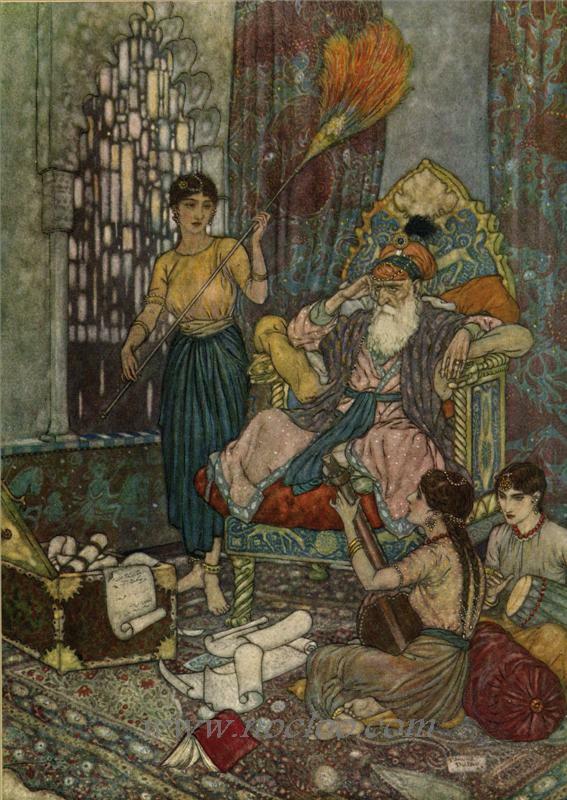 The first is ideological: Harun alRashid was not terribly pious — he enjoyed poetry about wine and young boys — and his court valued unfettered intellectual debate and pagan Greek learning, which are anathema to ultraconservative Salafis like those running the Islamic State. But it is alRashid’s power the jihadists remember, not his impieties. The second problem is demographic, which cannot be resolved by selective memory: most of Baghdad’s inhabitants are Shi’a. They will not give it up without a fight. Neither will Baghdad’s patrons in Iran. 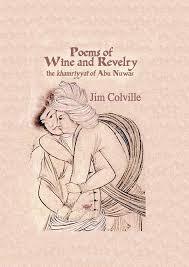 Tales of the Arabian Nights, poetry, wine, young boys, Baghdad itself . . . . not quite the template of today’s Islamic State! Time is long overdue for a few more Westerners to learn the facts and kick aside their former ignorance and blind-hostility to the mere echo of the word “Muslim”, or “Islam”. And of course Qutb could have learned a bit more had he lived to read the critical historical works available today. But what good would reading have done if his mind had been as closed as the minds of many Islamophobic (perish the term!?) Westerners today!